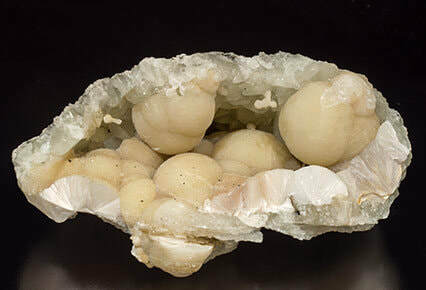 ​Pectolite is a member of the pyroxenoid group of silicates and is composed of Sodium Calcium Silicate Hydroxide that generally occurs as aggregates of acicular needles in fibrous radiating compact masses. 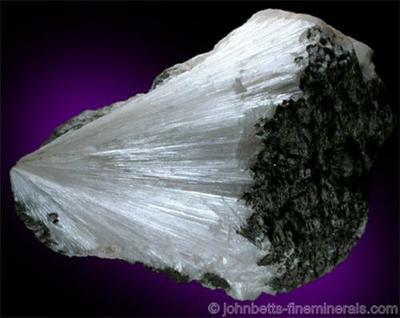 Pectolite is commonly white, light grey, or colourless and is often found in cavities in basalt. Pectolite may fluoresce in ultra violet light, a blue variety of pectolite found only in the Dominican Republic has been given the trade name Larimar, and is used in healing practices. This stone can be found in the USA; Dominican Republic (larimar) Italy and England. Larimar is a form of blue pectolite, a sodium calcium silicate mineral. 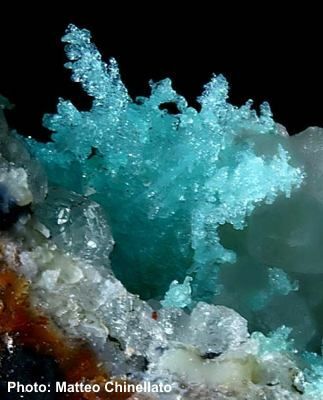 It occurs as aggregates of needle-like crystals, grown together in a solid mass, characterised by dramatic patterns of blue, blue-green and white. It forms in cavities within basaltic lava. Some larimar also contains vivid red-brown hematite inclusions. Larimar comes only from the island of Hispaniola, in the Caribbean Sea. Larimar is a gentle stone that usually comes in a shade of light to mid blue. It has lots of water energy and brings the tranquility of the sea to a room or space. Placing Larimar stones in the home or work environment will assure a pleasant and serene atmosphere. Singers are encouraged to try Larimar, as a talisman for enhancing and protecting the voice. Larimar is an excellent stone for helping soul mates to find and recognise each other. It will heal negative karma between soul mates and lovers. This stone opens honest communication between soul mates. It promotes It is an excellent stone for seeking a soul mate, and it facilitates the healing of past life relationships or heart trauma. Larimar facilitates speaking and listening with awareness, putting the other person and the relationship first. It stabilises new relationships between soul mates. Larimar supports the general health of those who live or work near the ocean or otherwise have a strong attraction or need for the ocean. Use this stone to remind you to spend time near the salty spray of the ocean, This stone helps rebalance the thyroid and iodine levels in the body. It is beneficial to the physical body in that it helps cool a fever, draws out inflammation and infection and helps sunburns heal quicker. Larimar is a valuable tool during pregnancy, birth and post-partum. It helps relieve high blood pressure and stress-related illnesses. It is an excellent stone to use during colds and flu to help regulate mucus production, sore throat and fever. It can be used to diminish the frequency and intensity of hot flashes and is a useful antidote when your kundalini energies have become uncomfortably active. It is helpful for throat and cartilage conditions. It heals the chest, head and neck, it can also be laid on constricted joints or blocked arteries. Used as a reflexology tool larimar pinpoints the site of disease and clears the meridians of the body. Larimar dissolves energy blocks, particularly in the chest, neck and head, it also stimulates brain activity. Larimar helps you get in touch with your emotions in a balanced way, filling your awareness with sunshine and love. This is the stone of loving and clear communication and the healing that accompanies it from a higher realm. It dulls the negative effects of hurt, depression, pain of loss, and everyday stress. When larimar is used on the third eye chakra, it can help battle anxiety and self doubt. Larimar brings tranquility to your heart and soul. Larimar is a powerful emotional cleanser and healer. It is especially useful for those with phobias, panic attacks, stress-related imbalances, and excessive anger or fear. It can help one release judgment and ego interpretation of what is. This stone bestows inner peace and helps you remain calm and relaxed when dramatic changes take place in your life. Botryoidal Pectolite in basalt cavity. Larimar radiating acicular crystal cluster sliced though to show patterning. Coupled with yoga breath exercises, larimar can help you gain more clarity in your life. It encourages open mindedness, simplicity and yin energy. Larimar aids both men and women in connecting with their feminine, intuitive and receptive natures. Larimar helps women who wear or use it to awaken to the Divine Feminine within. It emanates vivaciousness and good humour, accompanied by confidence and a sense of their innate power. It helps women call upon the goddess within, in order to fully manifest their highest purpose in life. 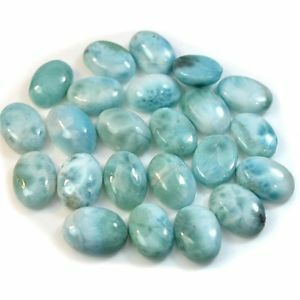 In meditation, Larimar can help you see and release yourself from unhealthy inner bonds to other people, or to principles which do not serve the highest good. It opens the pathway to the ‘divine stair of ascension,’ upon which one leaves behind any obsolete past commitments. ​Larimar effortlessly helps you achieve a deep meditative state. It naturally raises consciousness and harmonises your body and soul to new vibrations. It offers calm certainty, creativity and opens the throat chakra. Larimar removes self imposed blockages and constraints It dissolves self sabotaging behaviour, especially a tendency toward martyrdom, it assists you to take control of your life. When you are moving through periods of stress and inevitable change, it enables you to meet all challenges. Larimar brings serenity, clarity and constructive thought. It stimulates creativity and encourages you to go with the flow. Larimar makes constructive thinking easier and stimulates creative activity, it helps you refrain from manipulating things and events unnecessarily, instead just allowing them to happen. Larimar is ideal for telepathic communication, which is transmitted from heart to heart and translated from mind to mind. This is a good stone to use if you wish to experience rebirthing. Larimar teaches the value of self nurturing and self respect. It facilitates balance between the active and receptive aspects of the self. 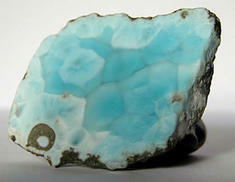 Larimar encourages communication and the expression of emotional energy. Larimar is one of the spiritual stones that opens new dimensions, stimulating the evolution of the Earth. It is an empowering stone, dissolving boundaries that constrain the spiritual self, and guiding the soul onto its true pathway in life. Larimar facilitates angelic contact and communication with other realms. 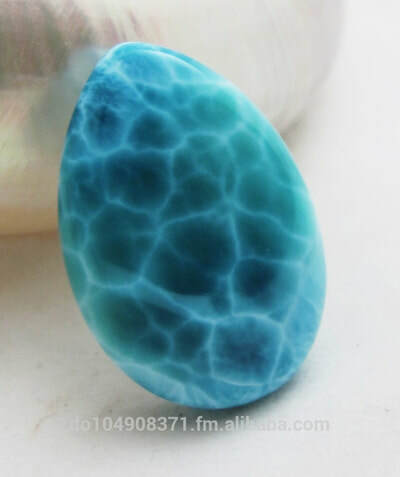 As an earth healing stone larimar connects you to the earth goddess, helping women to attune to their innate femininity and restoring their connection with nature. Larimar encourages you to take proper control of your life. It dissolves sacrificial behaviour an philosophies that encourage suffering. This stone makes you aware of the extent of effectivity of your personal spiritual spectrum.